Treats. Everywhere! 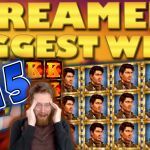 Including this article and video compilation of a selection of casino streamers landing some easy-to-get bonuses on different slots. 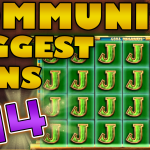 The video features 5 different clips of the slots Wild North, Golden Colts, Reel Rush, Gold Rush and Seasons, played by 3 streamers, and one chair. That’s right. CasinoReggie’s chair can play slots too. Watch the clip above, and read our comments of it below for each respective streamer and game played for all the details. SuperSmask is playing the Wild North slot by Play’N GO when he gets 3 scatters and triggers the Northern Lights bonus round. This is a bonus feature comprising of 7 different mini games represented by their respective symbols. 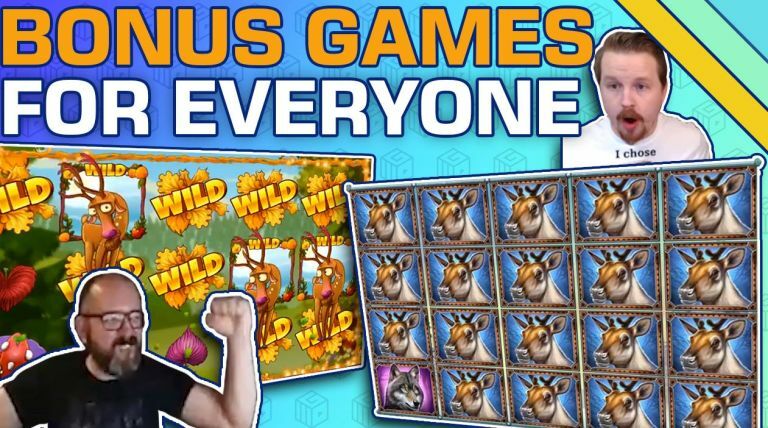 The bonus game feature won is randomly selected, and SuperSmask lands the “Wild North Explorer”-feature, taking him to a pick and click game consisting of 20 tiles with hidden prizes comprising of both cash and bonus games. After finding some hidden cash prizes, the Wild Bear appears with a x30 multiplier. Doesn’t pay too much though. Moving on, he lands “The great wilderness” feature, giving him 3 free spins. This is where it gets interesting as there are mega symbols on reels 2 and 5. Badazzbear1’s playing with $1 stakes on the Seasons slot by Yggdrasil Gaming when he triggers the free spins feature, giving him 7 spins. Nothing to write home about until third spin arrives with them crazy-looking Deers (wild symbols) almost covering the entire screen, resulting in a pretty nice win. Either the cat’s got his tongue because he’s in awe, or he ain’t simply impressed with the bonus round’s outcome. Regardless, adding a 284x to your player balance is good enough for us to feature the clip! 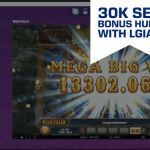 LetsGiveItASpin and Reggie are chilling on stream with LGIAS playing with a 100 kr stake on the Golden Colts slot from Play’N GO. This slot has the same type of bonus feature as aforementioned Wild North; 7 different mini games. Safe to say LGIAS got the right bullet landing the Revolvermen-game resulting in a 30x multiplier. After a few “What”’s later, and some Swedish-sounding stuttering as the excitement heightens, it’s clear that the outcome is a whole bunch of fresh bananas added to his balance in the form of a 86 win. NickSlots’ playing with a £4.50 stake on the Steam Tower slot by NetEnt when he triggers the free spins feature giving him 10 free spins. That happens exactly at the same moment when the viewer “cspeaden101” says “got to wild north next will do u better than steam rip”. The timing couldn't have been better for that comment, as Nick’s about to prove him wrong. 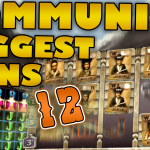 The bonus game’s all about getting to the top floor for as many spins and multipliers as possible, and Nickslots ain’t no stranger climbing the floors of Steam Tower. On and on and on we go, and Nickslots is getting more and more excited as we ride along for a double-digit floor, finally ending up at 11, resulting in a 206x win. SuperSmask is at it again, this time playing with 15 SEK bets on Pragmatic Play’s Gold Rush slot (one of his personal favorites) when he lines up 3 scatters, triggering the bonus feature for 10 free spins. That grin on that streamers face says it all. Yeah, that and the added balance of 5.283 kr resulting in a 352x. Where’s Reggie? Is he out collecting something, somewhere? Did Batman take him? Did he get hit by melting icicles and collect-cones falling from his roof as he went outside to take the air? In absence of his presence, the chair takes responsibility and autospins with 10 SEK bets like a true hero on the Reel Rush slot by NetEnt. The chair triggers its owner 8 Free Spins, and manages to collect and bag a 360x win before CasinoReggie’s return, not sure what to make of what the fudge just happened. 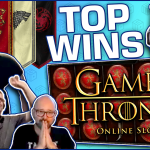 The viewer "xxxswampyukxxx" called out the win before the round bonus round even started with his “chair for the win” comment.